This newly built sunny 3 bedroom unit is situated in a quiet suburban street. Enjoy the fully equipped kitchen or go for a little walk (or small drive) down to Hamilton East with it's lovely cafes and restaurants, or enjoy a cuppa in the sun on the deck. This property is within walking distance to the CBD, Waikato University, various schools, The Hamilton Gardens and on the main bus routes. Home from home, but tidier! An excellent property. Everything we need. We have stayed here before and planned our trip to Hamilton around the dates this unit was free. We hope to stay again. Thanks so much. Perfect accommodation for our needs - loved having two bathrooms as well as two bedrooms. Perfect accommodation for our needs - loved having two bathrooms as well as two bedrooms. A stroll down to the Gardens or round the corner to the Grey Street shops. The only wee suggestion I'd make is to provide an sun umbrella or similar as there is no shade on the deck once the sun moves round. Though we were lucky on our holiday to have very, VERY hot sun! A great property - highly recommended. We enjoyed our stay at the unit on Nixon. We enjoyed our stay at the unit on Nixon. We had a baby with us so it was very warm with double glazing and a heat pump. The unit was clean and it had everything we needed. 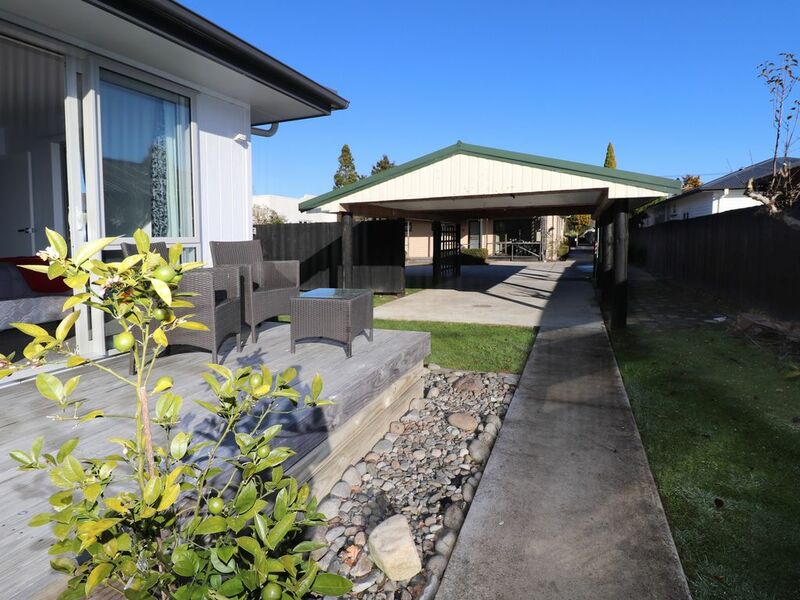 It is a great location, close to Grey St shops, Wairere Drive and Hamilton Central, and also the Hamilton Gardens. We would definitely stay again. The unit was lovely, clean, tidy and modern. The unit was lovely, clean, tidy and modern. We thoroughly enjoyed our stay!